Want to feel grand about your life? Try volunteering. Whether you’re retired or perhaps you’re still working, a little bit of your time donated to a cause or event that you’d like to help support goes a long way and promises to be greatly appreciated by the recipient. 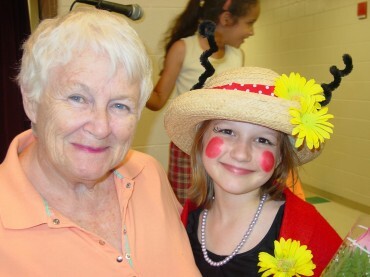 Volunteer at your grandchildren’s school and you will be made to feel like an uber-grandparent. There’s virtually no school that cannot use an extra set of hands. Perhaps you’d like to be a mentor to students in your grandchild’s classroom, or maybe assist the teacher with decorating a bulletin board, grading papers, or making copies. Or maybe you’d like to help with special events at school such as volunteering at a musical production, sporting event, an awards ceremony, helping to plan an International Day, or serving beverages at a potluck supper. If you have a special talent, you might ask about volunteering in the school library, the art room, or a science lab. And when was the last time you went on a field trip? You might have great fun bouncing around on a yellow school bus as you ride with your grand and school friends to a museum or nature center. 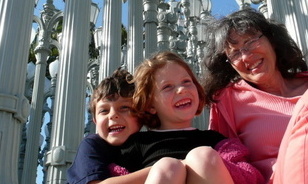 Volunteering with your grandchildren can be the ultimate bonding experience. Bring your guitar, some good voices and perhaps another family or two and sing at a nearby nursing home. Perfect pitch isn’t a requirement, just a sense of sharing, giving, and having fun. But, if that’s not your forte, then check if you can bring the family pet in for the residents to enjoy. Or ask if your family can organize bingo or some other game for an afternoon or evening. Shelters and soup kitchens also rely heavily on volunteers. You may want to organize a group of families through your church or synagogue to cook a meal, for example. Make some calls to inquire. It’s a wonderful, humbling experience for your grandchildren to see that not everyone is as fortunate or lives as comfortably as they do. You and your grandchildren will be welcome volunteers at local fairs and festivals. Maybe there’s a yearly art fair or wellness fair in your community. Get involved with your grandchildren. What a great opportunity to learn and grow. Considering a visit to Disneyland or Disneyworld? Look on their website and sign up to be a volunteer. The number of hours you give “buys” you some free admission into the park. Other theme parks may have similar volunteer programs. Check it out. Concert halls and theaters are often dependent on mature volunteers. Possibly you’d like to get out more to some of the exciting entertainment that’s available in your area. But the struggling economy makes you somewhat nervous about spending money on seemingly frivolous activities, despite their intangible value to your life. Have you considered volunteering at some of the venues that you enjoy and typically frequent? You’ll be amazed to see large numbers of seniors giving their time at popular events in your town. Volunteering is a terrific way to attend familiar, but also new and different places that you never thought to explore. Next time you’re at the symphony or a local festival or fair, look around. You may notice someone you know working there. As you exchange greeting, you might discover that they’re there as a volunteer not as paid staff. Volunteering is a great way to expand your social network and meet new and interesting people of all ages. 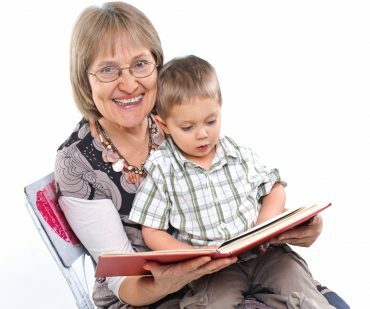 Giving your time provides an excellent role model for your grandchildren. Being charitable is an endearing quality that you hope your grandchildren will develop over time. Make volunteering part of the repertoire of activities you do with your grandchildren. Debra Karplus is a licensed occupational therapist, teacher, and freelance writer for national magazines, baby boomer, and grandmother of two. She lives in a Midwestern college town. She has been published in Grand Magazine in the past and is a featured columnist. Learn more about her at http://debrakarplus.blogspot.com.